We bring artistry back to outdoor lighting. We will give you a landscape lighting demo prior to starting and offer a lifetime warranty. Competitively priced. Servicing Mount Prospect IL area. 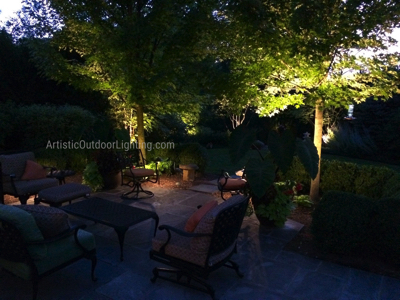 We are your premier source for Mount Prospect landscape lighting and outdoor lighting. As 5-time Angie's List award winners serving you for 18 years, we offer 10 year guarantees on all installations and a free in-yard demonstration. We are experts in LED outdoor and landscape lighting and offer the highest level of attention to detail. After your landscape lighting transformation, your home will take on a subtle, magical beauty that will "wow" onlookers and give you a warm, welcome feeling every time you return to it. The architectural details and landscape elements that you cherish will be enhanced and come to life in a way you will never tire of seeing. As well it will make family gatherings even the more special! Check out photos of our landscape lighting to see what we mean!